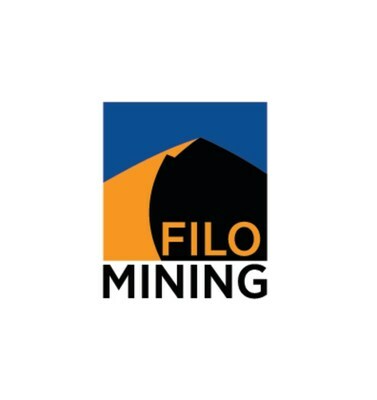 VANCOUVER, March 18, 2019 /CNW/ - Filo Mining Corp. (TSX-V, Nasdaq First North: FIL) ("Filo Mining", or the "Company") is pleased to announce the results of the first two diamond drill holes from the 2019 drill program at its 100% owned Filo del Sol project located on the border of Region III, Chile and San Juan Province, Argentina. These holes, drilled 500 metres apart, demonstrate that the high-sulphidation epithermal deposit forming the bulk of the mineral resource which supports the project Pre-Feasibility Study ("PFS") is underlain by porphyry copper-gold mineralization to depths of over 1,000 metres below surface. 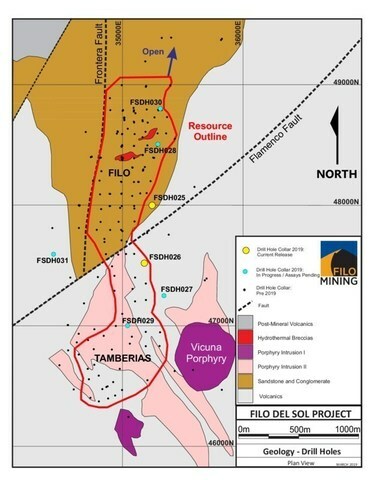 Commenting on the results, CEO Adam Lundin stated, "These two holes confirm that the Filo del Sol resource represents only a small part of a much larger mineralized system, as we have always expected. This really opens up the exploration potential at Filo and offers the potential to transform it into a much larger project than outlined in the recent PFS. 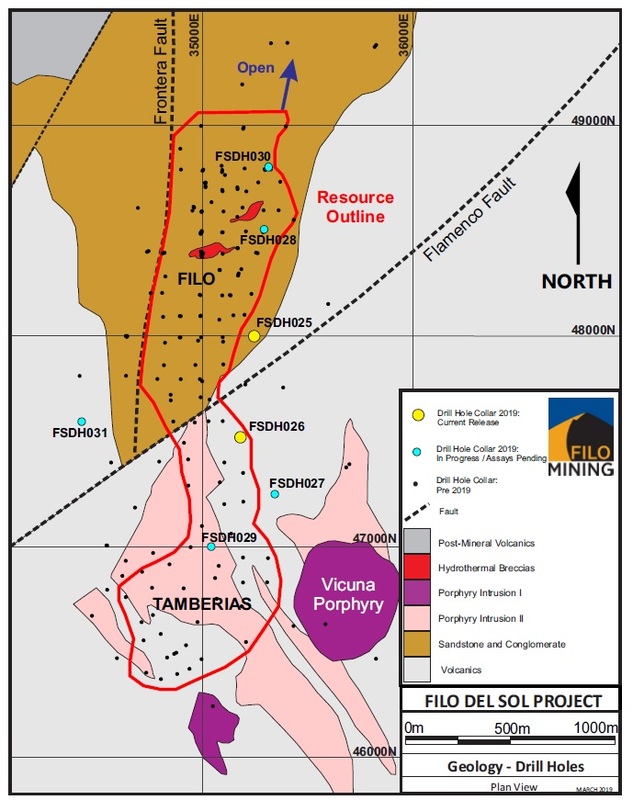 We currently have one additional hole completed, with assays pending, and four holes in progress which will help us to continue to develop our understanding of this very large porphyry system." Hole FSDH025 was collared on section 8000N at an angle of -76 degrees and drilled to a final depth of 1,025 metres. The hole is entirely outside of the mineral resource and was drilled towards the west beneath the PFS plan open pit. The hole intersected rhyolite country rock with intense porphyry veining (A and B type) and local hydrothermal brecciation down to a depth of 607 metres. At 607 metres the hole passed into a large, mineralized polymictic hydrothermal breccia cut by narrow porphyry intrusions which continued to the end of the hole at 1,025 metres. Hole FSDH026 was collared 500 metres to the south of FSDH025, on section 7500N, and drilled to the west at an angle of -73 degrees. This hole twins a previous reverse circulation (RC) hole (VRC036, drilled in 2006) to a depth of 400 metres and then continues to a final depth of 613.9 metres. It was planned to a total depth of 1,000 metres but was unable to be completed by the drilling contractor and was terminated at 613.9 metres. The top 200 metres of this hole is within the mineral resource with the remainder of the hole outside of it. FSDH026 intersected similar geology to FSDH025, with rhyolite country rock and hydrothermal breccias cut by porphyry veining down to 466 metres where it passed into hydrothermal breccias and mineralized porphyry characterized by potassic alteration until its final depth. Both holes ended in mineralization and the deposit remains open to depth and laterally. Three holes totalling 2,184 metres have been completed to date, with an additional four holes in progress. The drill program is scheduled to be completed by the end of March and additional assays will be released as they come available. The field program was carried out under the supervision of Bob Carmichael, B.A.Sc., P.Eng., and Diego Charchaflie, MSc., P.Geo (BC) who are the Qualified Persons as defined by NI 43-101. Mr. Carmichael is Vice President, Exploration for the Company and has reviewed and approved the technical information contained in this news release. Mr. Charchaflie is a principal geological consultant for the Company. Samples are cut at Filo Mining's Batidero camp near the project site by Company personnel. Diamond drill core is sampled in 2 metre intervals (except where shortened by geological contacts) using a rock saw for sulphide mineralization. Oxide mineralization is cut with a core splitter, in order to prevent dissolution of water soluble copper minerals during the wet sawing process. Core diameter is a mix of PQ, HQ and NQ depending on the depth of the drill hole. Samples are bagged and tagged at camp, and packaged for shipment by truck to San Juan, Argentina. Samples are delivered to the ALS preparation laboratory in Mendoza, Argentina where they are crushed and a 500g split is pulverized to 85% passing 200 mesh. The prepared samples are sent to the ALS assay laboratory in Lima, Peru. ALS is an accredited laboratory which is independent of the Company. Gold analyses were by fire assay fusion with AAS finish on a 30g sample. Copper and silver were analysed by atomic absorption following a 4 acid digestion. Samples were also analyzed for a suite of 36 elements with ICP-ES and a sequential copper leach analysis was completed on each sample. Copper and gold standards as well as blanks and duplicates (field, preparation and analysis) were randomly inserted into the sampling sequence for Quality Control. On average, 9% of the submitted samples are Quality Control samples. No data quality problems were indicated by the QA/QC program. This information is information that Filo Mining Corp. is obliged to make public pursuant to the EU Market Abuse Regulation. The information was submitted for publication, through the agency of the contact person set out below, on March 18, 2019 at 3:30 p.m. Pacific Time. Forward-looking statements contained in this news release include statements regarding the results of a drill program and expected completion of additional results related thereto. In addition, this news releases include results of the PFS that would support development of the Filo del Sol Project. 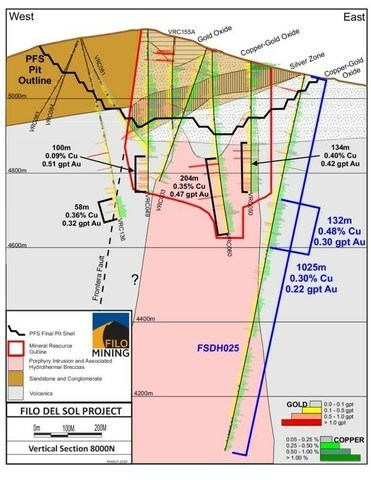 Information concerning mineral resource/reserve estimates and the economic analysis thereof contained in the results of the PFS are also forward-looking information in that they reflect a prediction of the mineralization that would be encountered, and the results of mining, if a mineral deposit were developed and mined. Although Filo Mining believes that the expectations reflected in such forward-looking information are reasonable, undue reliance should not be placed on forward-looking information since Filo Mining can give no assurance that such expectations will prove to be correct. These statements involve known and unknown risks, uncertainties and other factors that may cause actual results or events to differ materially from those anticipated in such forward-looking information, including the risks, uncertainties and other factors identified in Filo's periodic filings with Canadian securities regulators, including the Company's Annual Information Form available under the Company's profile at www.sedar.com. 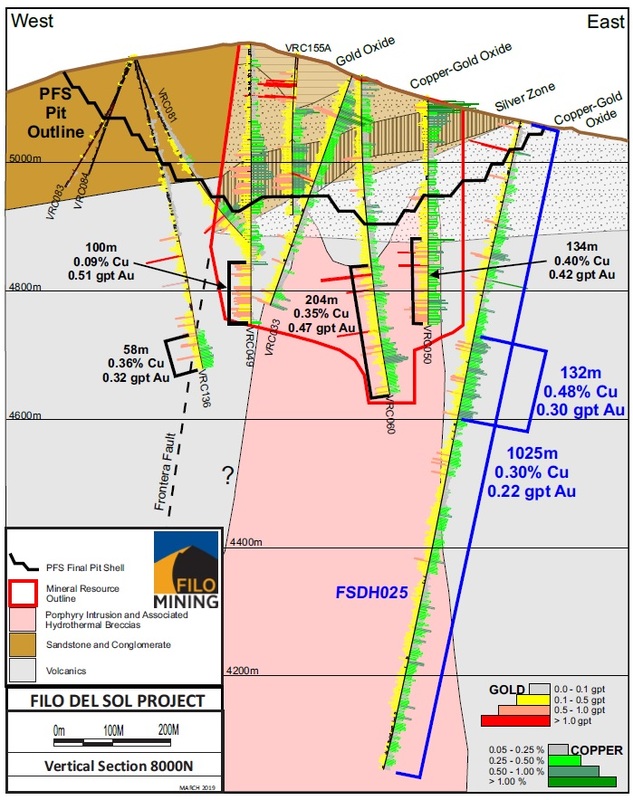 In addition, these statements involve assumptions made with regard to the Company's ability to develop the Filo del Sol Project and to achieve the results outlined in the PFS; the ability to raise the capital required to fund construction and development of the Filo del Sol Project; and the results and impact of future exploration at Filo del Sol.